(Newser) – The country's only all-male historically black college will begin admitting transgender men next year, marking a major shift for the school at a time when higher education institutions around the nation are adopting more welcoming policies toward LGBT students. Leaders of Morehouse College in Atlanta, Georgia, tell the AP that its board of trustees approved the policy on Saturday. Transgender men will be allowed to enroll in the school for the first time in 2020. Students who identify as women but were born male cannot enroll, however, and anyone who transitions from male to female will not be automatically eligible to receive a degree from the institution. 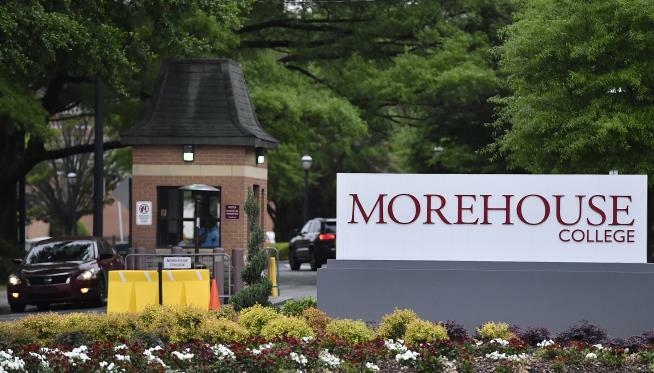 Morehouse officials hailed the move as an important step toward a more inclusive campus while affirming its mission to educate and develop men. "I think Morehouse having the courage to speak to issues of masculinity in today's environment is important," says Morehouse College President David Thomas. "For 152 years, the world has, in some way, seen Morehouse as the West Point of black male development." Morehouse is an iconic college that counts the Rev. Martin Luther King Jr., filmmaker Spike Lee, and former Atlanta Mayor Maynard Jackson as its alumni. More than 1,000 colleges and universities around the country have adopted some form of a transgender policy, including about two dozen historically black colleges. What ever happended to "being judged, not by their race, but by the content of their character?" What if I'm a white man but identify as a black man?